The GeriMac knee is a single-axis knee incorporating a novel, automatic mechanical lock that provides maximum stability during the stance phase of gait. This knee is perfect for geriatric needs and requires very little maintenance. The Alpha® Flex Sleeves feature Kevlar®-reinforced Alpha gel for greater durability, greater puncture resistance, and greater abrasion resistance, while still providing increased range of motion. 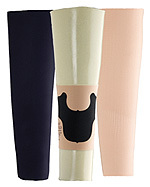 Alpha Flex Sleeve fabric is highly flexible and provides comfort and flexibility when worn. The sleeve features an interior polyurethane pad at the socket brim line. This pad provides extra protection against wear for sleeve longevity. Designed to use with LimbLogic™ VS, the Alpha Flex Sleeve is also compatible with traditional suction and locking suspension methods. The sleeves are available in black and buff fabric and have a 90-day warranty. 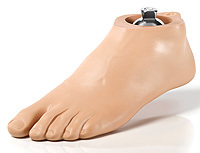 With nearly effortless rollover, the Promenade prosthetic foot provides an excellent alternative for the diabetic and vascular amputees in your practice. The dynamic heel combines with a supple toe to provide users who have low-impact ambulatory skills with a more symmetrical gait. The energy return of the Promenade will assist basic ambulators in achieving efficient stride lengths and facilitate greater comfort and increased participation in daily activities. 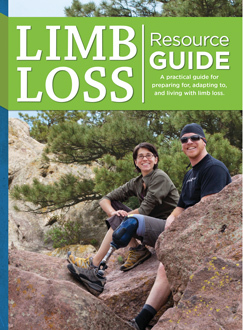 Components can be easily detached from the orthosis and adjusted for ease of fitting, adjustment, and replacement. The laminated section of the orthosis are now fabricated around the metal components and attached with screws. Friddle's offers the new, preassembled Seattle Lightfoot2 with Titanium Pyramid, which offers effortless alignment and comes ready to install at an attractive price. The Lightfoot2 is for patients with a low to moderate K2-K3 activity level with a maximum weight of 300 lb. A few of the Lightfoot2's performance features include a uniform mounting surface, energy-storing core, and a split toe for sandal use. As prosthetists, our designers know the importance of a good fit. We also know that different clients have different needs and that there are times when an off-theshelf TES Belt or Durasleeve will not meet those needs. 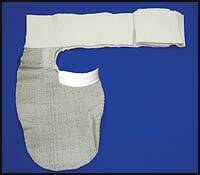 For those special clients, Syncor Ltd. offers custom-designed TES Belts and Durasleeves. The Spinomed® III spinal orthosis is revolutionizing conservative treatment of vertebral compression fractures, hyper-kyphosis, and chronic back pain related to osteoporosis. The indications for use of the Spinomed III are osteoporotic bone collapse in the thoracic and lumbar spine as well as hyper-kyphosis with chronic back pain. The evidence-based medical study of Spinomed published in the American Journal of PM&R showed dramatic increase in core strength along with a decrease in kyphosis. Friddle's Orthopedic is proud to introduce several new coloring papers, including Tattoo, which is shown in the photo. Look for a complete listing of coloring papers at Friddle's online store, or call us to receive a free poster. 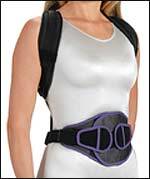 Made with X-Static Silver fiber for proven antimicrobial protection and therapeutic properties, the new AK Shrinker™ from Comfort Products has a soft, flexible EasyWear belt to accommodate a 32-50 in. waist. X-Static Silver provides antimicrobial protection. Stay-put gel band helps reduce migration. Contoured distal end improves fit and control. Dynamic, yet stable, the new Element™ foot system is an excellent choice for active amputees (K3 and K4 activity levels). The extraordinary lightweight Element weighs 11 oz. (size: 27cm without the footshell). The low-profile design requires a clearance of 3.75 in. 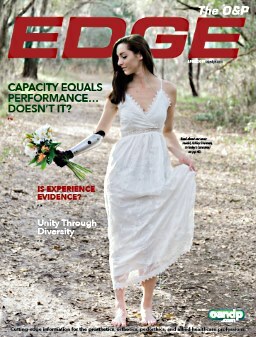 to facilitate greater component choices when assembling the prostheses. The unique carbon-fiber spring design provides a smooth rollover with superior stability. Interchangeable heel elastomers for fine-tuning heel stiffness. Modular design provides superior flexibility. 275 lb. weight rating in sizes 22-30cm. Embedded with X-Static® silver yarn, the Comfort Products Silver Liner Sheath™ helps eliminate skin problems that are common to many liner wearers, including dermatitis, rashes, and odor, all without compromising suspension. 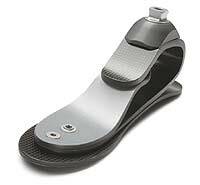 Titanium pyramids are now standard on Dycor's K2 DR2 (unassisted transfer/assisted ADL) and K3 DR3 (unassisted ADL) feet. 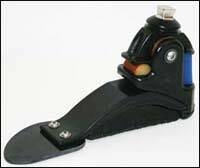 DR feet flex on leaf springs inside the upper keel rather than on compressed rubber bumpers. They are ground compliant, with uni-, bi-, or triaxial ankle articulation (transverse torque DR2/STM 5 ft.-lb. and DR3/AGM 10 ft.-lb.) on low- and medium-profile options. Total weight: 312g (11 oz.). The K2 is 30 percent more flexible than the K3. For bilateral transfers and ADLs, use a firmer DR2 or DR3 foot on the dominant side. Genesis II Systems from MICA Corp. provide the industry's most natural range. The systems feature 12 degrees of axial rotation and vertical deflection in both directions, 12-25 degrees of inversion and eversion, 20-30 degrees of plantarflexion, and 7-15 degrees of dorsiflexion, with a promise for free bumper replacement for the life of the foot. Orthofeet is adding great-looking models to its Tie-Less shoes collection. These innovative, patent-pending shoes com­bine laces with hook-and-loop straps, allowing users to wear regular lace-up shoes without needing to tie them. Non-binding uppers design across the bunions. Visit us at AOPA booth 223.